The High Line Canal Conservancy is the only entity whose mission is to ensure the long-term vision for the Canal. With your financial support, the Conservancy will continue to work in partnership with Denver Water and the 11 adjacent jurisdictions to leverage government resources and do more for the Canal than any one group could do on its own. Your support is essential to the Conservancy’s success in preserving, protecting and enhancing the Canal for generations to come! Join the passionate community of citizens who are dedicated to the future of the High Line Canal. This is your trail and membership is, in a very real sense, a gift to the High Line Canal. 71 Miles Supported by 71 Founding Partners is a campaign to raise $1,775,000 of catalytic funds through the generous support of 71 Founding Partners. 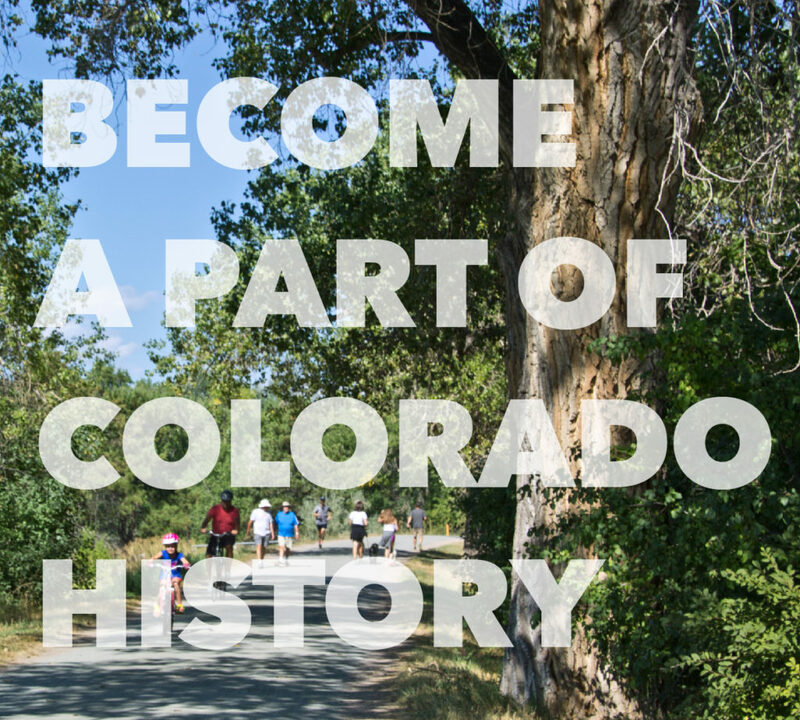 Founding Partners commit $25,000 over 1, 2, or 5 years, providing foundational support to ensure that all 71 miles will be preserved and enhanced for the entire Denver metro region. Each partner “adopts” one of the 71 miles of the Canal. Your gift will be marked with a sandstone mile-marker with your name engraved as recognition of your foresight and commitment to the future of the High Line Canal. 25 of the 71 miles are already secured – see full list (click here). *Founding Partner gifts are fully tax-deductible. Click here to download the Founding Partners campaign brochure. Please contact Harriet LaMair, Executive Director, for more information about becoming a Founding Partner. Click here to learn about Dine for the High Line 2018 corporate sponsorship opportunities. Support the High Line Canal in a way that may have added tax benefits to you. Consider including the High Line Canal in your estate plans. Giving your time is a meaningful way to support the Canal. The High Line Canal volunteer program is currently being developed! Please contact volunteer@highlinecanal.org to add your name to the list for future opportunities. To learn more about supporting the High Line Canal in these and other ways, please contact Lindsay Moery, Program and Development Associate.